We talk so much about “innovation is critical” today and in our future, but is rarely achieved.The confidence levels plummet as the pressure to innovate mounts, simply because the necessary components of delivering innovation are critically missing. Innovation requires us to do something different or something new, to explore, where as transformation wants to make dramatic changes in the form, appearance or performance, more to exploit and capitalize on changing conditions. We are at a crossroads of determining if the management of innovation should change and if so, how. I argue that innovation management needs to radically adjust and will be based on the thinking around the shift from products to solutions, from transactions to growing far more value-adding ongoing relationships, from a supplier of product services into highly valued network partnerships, exploring innovation across all options, instead of delivering on discrete elements; this requires managing the whole ecosystem of the innovation design differently through technology where platforms dominate and transformation becomes an ongoing process to evolve the business model, so as to seek out constantly changing market opportunities, in agile, adaptive and fluid ways, for successful innovation outcomes that meet those real customer needs. This does require a transformation of how we design, structure and bring together all the relevant part of the innovation process. This requires technology to be central to this different thinking, alongside a radical shift in how we see innovation. I refer back to my evolving hypothesis above of where, why and how this innovation management needs to shift. 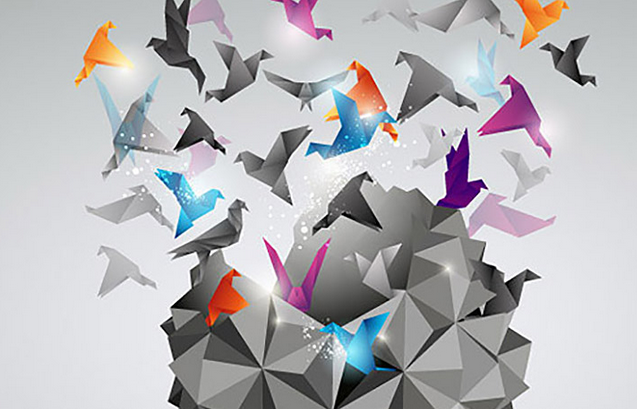 Can innovation and transformation combine and work together? We hear far too much about the need to transform and change. We do need to get a whole lot fitter in our innovation understanding to transform it into a more robust, sustainable process. Firstly isn’t Change and Transformation the same thing? Well, not really. Change = to make or become different (often includes more or better). This is where incremental improvement resides. Most of our innovation activities reside in this change space, fooling us, tricking us to believe we are “making real change”, whereas we are just pushing ‘things’ along. Transformation though, is = a thorough or dramatic change in form or appearance. This is where breakthroughs live. This is where innovation needs to go to counter the fundamental shifts going on in our markets, to really drive and thrive in an increasing hostile environment. Yet both transformation and change bring new possibilities into reality. Both require thinking that is broad and expansive, with a strong sense of curiosity and discovery. Unless we refocus our current management approaches to both be transformation and innovation, we will continue to face losing our competitive edge. Needlessly defending and spending our capital on the position of yesterday, not looking to seek out and transform to seize the new positions or opportunities that are occurring in our rapidly changing world. There is a real shift for adding greater value within innovation occurring. There is this growing recognition that product alone has good value but it is the power of combining this with a range of services, by designing this into specific business models and solutions, that deliver on the needs of the customer. I was reading an interesting article from LEADing Practice® posted on the iGrafx site who offers a set of process design, analysis, optimization and management capabilities . LEADing Practice® performed a study (not sure when) to uncover the obstacles to achieving innovation and transformation. 1,765 CEO’s and 2,936 business leaders representing all major countries and industries were surveyed. In this article they were suggesting that most successful companies’ focal aspects of innovation are on new value, revenue and service models, while transformation is centered on cost, operation and performance. To quote from the article “It’s no coincidence that when talking about successful companies and their ability to adapt to change, that they are achieving both innovation and transformation by applying both best and leading practices in appropriate domains of the business”. “While best practices are tried and true methods that can and should always be applied, leading practices are methods of adapting best practices to situations that require a difference – this is a key differentiator”. I needed to pause for thought on this as they are suggesting transformation and innovation are separated on their focal aspects. I’d never broken them up as specifically as this as I always saw this as the two sides of the same equation – the front end (value, revenue, new value propositions) and the back-end ( managing costs, operational aspects and the broader performance of key stakeholders) but both working towards a common goal- transformation through innovation. I am a great admirer of Alex Osterwalder and the work his team over at Strategyzer are doing around and applying the Business model canvas into designing new models that have innovation and transformation as part of them. Does this article raise a new way to think about the design of the BM. I actually do need to think about the linkage of transformation and innovation through the lens of the BMC some more, based on this article. I do get a little cranky on this ‘reliance’ on best practices, most of our organizations like to gravitate towards. I totally agree for innovation it is actually the art of “learning practices” that emerge as ‘leading practices’ but these evolve often in highly unique and different ways. Often that is why innovation is hard for many, as they often fail to recognize the uniqueness within its makeup for them and take the existing practices, to simply copy. Best practice is where everyone seems to want to go, the lazy and mistaken route to transformation and ending up at a point of no differentiation as everyone is also attempting to get to this point of best (existing or past) practice. It is leading practice, exploring, keeping it still efficient but different that you move towards a real competitive difference. I call this far more the ‘emerging practices’ that are working on the parts that add value, service and new revenue. These are often highly unique to individual circumstances, individual organizations and their market conditions and position. The article stirred up my thinking at least, reaffirming my own beliefs on practices, on the increasing importance of the business model design in all we do and think. When we want to innovate, we should look at the transformation impact and this suggested allocation has sharpened my thinking, although parts of the article I’d debate or want a deeper explanation. Still take a read. Rational choice is the familiar one where we set ROI’s, KPI’s, establish clear milestones and expectations from new projects or innovation. We are driving towards predictable outcomes. Is innovation by its unpredictable nature on time, always defensible and predictable? If it is then we are back in the land of incremental innovation where risk gets delegated down and we keep informed only to ‘what we think we know’ not what is changing. We lose so much by approaching innovation in a ‘prescripted’ manner. The experimental model is far more the place to be in today’s uncertain and rapidly changing world. To succeed in today’s networked economy, businesses must participate in dynamic, evolving networks of diverse organizations based around platforms and ecosystems offer the fertile ground for collaboration and transformation. And while such networks can be difficult to navigate, they offer companies the opportunity to evolve their business models, deepen skills and knowledge, expand into new markets, and scale operations. To experiment we limit risk, we learn through engaging in market understanding, validating needs, we adjust our model, then we rapidly scale, keeping competition lagging. For companies seeking to reinvent not only their products but their business models, minimum viable transformation allows for rapid iteration on the unknowns of a new business model. This MVT thinking comes from Deliotte University Press and partly from one of my favourite thought leaders, John Hagel III. It builds on the initial work of Eric Ries and his minimum viable product thinking within the lean startup thinking methodology. Based on the minimum viable product and lean start-up philosophy you are replacing internal intuition with the learning to iterate around your learning about market factors and what is valued and needed as innovations and adaptive business models. The experimental model with the MVT thinking contains the risks down to more manageable levels; it allows you to explore market needs far more and exploits new learning by delivering and adapting ‘as you go’ and then scale. You are combining the power of transformation and innovation. Transformation and innovation are combining as your new agenda. To achieve a growing understanding of the kind of decisions companies want to make then we must transform ourselves on how we undertake innovation, to lead us out of average performance into a more radical, robust growth performance. We must envisage, invest and lead and this will come through adapting far quicker to different business models, use new technologies and its powerful connection and analytical capability, so we can critically evaluate the operational process and engage with customers in all possible ways. Innovation is far from static, it should be highly dynamic, it should be adapting and adjusting, it should be highly fluid. I’ve written on this need for fluidity as we are facing this considerable discussion around changing structures and models to become more adaptive, agile and fluid, to react and deal with this increasing turbulence occurring all around us. We need to react and become more responsive, becoming more adaptive to changing environments and business challenges, that are often unknown, unexpected, or not yet explored or exploited. A further white paper “Why innovators need a new change paradigm” takes this need for transformation even further, by looking more specifically at emerging models and the competencies required reacting to this change in these more ‘fluid’ ways. This entry was posted in Uncategorized and tagged articualting the business model, Building the future business, building the innovation business case, Consulting engagement concerns, Disruption of the Business Model, disruptive forces for innovation, Engagement and innovation, innovation ecosystems, innovation platform management, Innovation Structure, New innovation consulting business models, transformation and innovation. Bookmark the permalink.